On the stretch of Belt Parkway between exits 9 and 17, the scenic highway rings the shore of Jamaica Bay, crossing over six inlets of the bay. A century ago, these inlets were freshwater streams that originated further inland, each with its own history. Among these streams is Fresh Creek, which separates the neighborhoods of Starrett City and Canarsie. 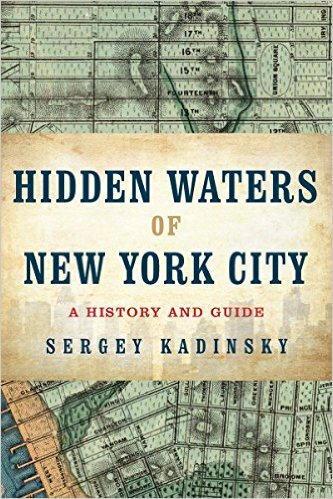 In a ravine sandwiched between a house and an apartment building in the Douglaston neighborhood of Queens, there is a pond that I was not aware of when I wrote Hidden Waters of New York City. I knew that Alley Pond Park has many ponds and lakes within it, but I never knew about Old Oak Pond. I was informed about it by local resident Kevin Walsh of Forgotten-NY. He advised to wait until the winter season when there is less vegetation blocking views of the pond, a fewer ticks. But I could not wait.